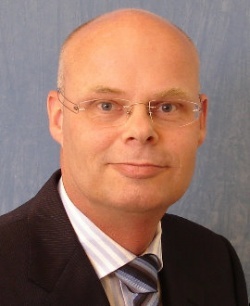 Since 21 April 2009, Edwin van den Maagdenberg has provided leadership of the Honeywell Process Solutions (HPS) business for Europe, Middle East and Africa. This includes sales, delivery and support of distributed control systems, quality control systems, advanced solutions and field sensors which are installed in Refining, Paper, Chemical, Pharma, Power Generation, Consumer Product Manufacturing and other process industries. Prior to this position, Edwin was the Regional General Manager for Northern Europe. In that role, he led and grew the business in the largest region (10 countries) in all HPS. Edwin's leadership and broad management capabilities were crucial to the success of the business in Northern Europe. Before that Edwin held various roles within Honeywell HPS the Netherlands. Edwin joined Honeywell in 1988 where he started his career as a Sales (support) Engineer. Then he became Account Manager and from 2003 to 2005 he was Sales Manager & Country Business Leader. In this last role he was also directly responsible for Projects in the Country. He has a broad experience across the different HPS functions and an excellent track record of delivering profitable growth to our Dutch affiliate. Edwin has a degree in electronics and he participated in the Honeywell Advanced Management Program, Thunderbird Leadership program and is Greenbelt certified. He is based in Amsterdam, The Netherlands. Could you provide a brief account of the history of Honeywell's operations in Bulgaria? Honeywell's team in Bulgaria has been active for a quarter of a century. We mainly work on process automation solutions for the key Bulgarian industries. We have installed more than 60 Honeywell systems in Bulgarian industrial plants and completed more than 100 international engineering projects - the business is growing. What have been Honeywell's investments in Bulgaria to date, how many people do you employ in Bulgaria? What kinds of products and services does Honeywell Bulgaria develop, do you carry out research and development and hi-tech innovation activities in Bulgaria? I will start with a little background - Bulgaria is an integral part of Honeywell's global customer development strategy. Bulgaria's principal industries are natural customers for Honeywell's products / solutions. Our projects deliver technologies for improving, safety, efficiency and operational reliability to Bulgaria's main industries, these are Metals, Mining and Minerals, Power generation, Petrochemical, Chemical, and Pharmaceutical, Pulp and Paper and Oil and Gas. Honeywell's success is founded on our ability to find ways to make technology make our clients more efficient more profitable in a world of rising standards of safety, security and protection for the environment. Ensuring continued success for example in Automation means staying ahead of the competition with the best technology and delivery organisation. Results define our success: Honeywell has the industry's leading safety record and 98% of our projects are completed within budget. Competition requires constant improvement to stay in the race, true for our clients, true for Honeywell. Each Automation system, each upgrade must deliver more benefits to the customer compared to it's predecessor in terms of plant performance, process safety and security. Using wireless to connect the components of a distributed automation and control system is one example. Honeywell offers the most complete portfolio in industrial Automation systems capable of working in tandem with platforms from IBM, SAP and Oracle. Our strategy is simple, "We want great positions in good industries, because good industries gives you a tailwind and great positions give you a way to gain share". We strengthened Honeywell's position in the high-growth oil and gas and power generation sectors and have worked to extend our global footprint in key regions, Bulgaria included. We expanded our system offer to include monitoring of oil and gas well performance. We acquired Matrikon to provide mining equipment, as well as supply chain solutions for mining. In 2009 we acquired RMG again to build strong positions in growth sectors in this case Gas distribution. RMG supports Honeywell's strategy to offer solutions that enhance energy efficiency. Indeed some 50 percent of Honeywell's current technology offers energy savings whose value to clients continues to increase with rising energy prices. Natural gas is a clean fuel alternative that is becoming increasingly popular in both mature and emerging markets around the world. We have over 3000 services professionals worldwide supporting our customers with their Automation expertise. In Bulgaria, Honeywell participated in the modernization of the Maritza East 2 power plant. We delivered our Experion PKS platform, which is a scalable and flexible state-of-the-art plant control and ESD system, installed and fully supported by the local Honeywell team in Bulgaria. The Honeywell Experion PKS system delivers a 30% reduction in maintenance costs, up to a 13% increase in production volume, and a 5% decrease in production costs over comparable systems due to process optimization. This is innovation in a very practical sense! We employ full time more than 100 people in Bulgaria today. Indeed, if Honeywell is to continue growing in Bulgaria we will need to recruit additional engineers and technical staff from the ranks of university engineering graduates. In addition, we work closely with many local companies and qualified subcontractors. Honeywell recently invested BGN 4 mil. in a system integration center in Sofia serving its centers in Europe. More precisely, what are the functions of this center, and why was Bulgaria selected to host it? Is it fair to describe Sofia as Honeywell's hub in the Balkans/Eastern Europe? Secondly, the Sofia CSC locates us close to Honeywell's Central & East European customer base, which has witnessed exceptional growth in recent years. And then there are the people – in Bulgaria, we can draw on a pool of talented and experienced engineers, many of whom have worked with Honeywell systems over the years as we built up our business here. Because of this consolidation we are able to offer our customers in this region upgraded services and we are closer to them. We started building up the Customer Solutions Center (CSC) in Bulgaria and this year we opened our new Regional Center in Sofia, which is a certified location employing Honeywell's best-in-class processes to provide C300 controller cabinet assembly, Experion PKS integration, logistics and customer test (FAT) services for European projects. In our CSC you can see the new infrastructure in which we invested USD 2 M but there is much more important investment which is not so visible and not so significant in Dollar terms yet it contributes greatly to our performance and that of our customers and suppliers. I am talking about the Honeywell Operating System (HOS) which we apply to standardize all processes, reduce variation and improve our work processes on a continual basis. Ultimately it is our customers who benefit from these process improvements namely better quality, delivery and value of our products / services. We are proud to say that every project executed by the Bulgarian Customer Solution Center needing external equipment and services was sub-contracted to local Bulgarian companies; in total we placed USD 3 M in orders during the second half of 2009 supporting local industry and jobs. Another significant development is the enlargement of our Technical and sales support center for Europe Middle east and Africa. Only recently we hired another 17 specialists, and we now have more than 30 people working in this highly specialized engineering group. What share of the activities of Honeywell Bulgaria is traditionally connected with serving the Bulgarian industry and what share goes to serving industries abroad? More than 70% of the Honeywell-Bulgaria activities, services and production are dedicated to projects and services abroad. US Ambassador James Warlick has described Honeywell Bulgaria as an investor with "long-term intentions" and congratulated Bulgaria for managing to attract such a company. Does Honeywell have plans to expand or develop its operations further in Bulgaria? Honeywell decided to consolidate the Central European customer service activities in one location in 2006 and we decided for Sofia. The new Customer Solutions Center employs 60 people and we expect this to rise to 90 by the end of 2010. We invested USD 2 M to enlarge and upgrade our CSC to handle the projects for our European client base. We are also continuing to expand the Technical and sales support group, as described above. Both the OECD and World Bank forecast a return to growth for Europe in 2010, Bulgaria's process industries stand to benefit. These industries, as well as spending money on maintenance continue to upgrade one part or other of their infrastructure so every year bring new investment projects. Now that growth is set to recover we can expect an improving climate for investments. We see opportunities in all sectors but particularly Power Generation and Oil & Gas. Customers demand that Automation suppliers be capable of providing best in the industry support services locally. This is why Honeywell has full service capability at its service unit here in Sofia, we are lucky because we support the entire region from our center in Sofia and that means years of project experience / expertise. Honeywell, together with several major American companies in the IT/services outsourcing sector have made substantial investments in Bulgaria over the past years. What would you say Bulgaria's advantages are in attracting that kind of investors? And, respectively, where does it need to improve and work harder to become more attractive? Bulgaria is historically a country with a tradition of well educated people in the fields of IT and electronics. The country was one of the first in the former eastern block to start developing IT specialists. Such new investments in high-tech sectors can help the country to further develop knowledge and competence, and retain talents. Due to the lack of natural energy resources, the country is very focused on Energy Efficiency. I think the way Bulgaria established a framework to enable companies to enter into energy saving contracts based on performance is a good example. Energy Savings Performance Contracts (EPCs) allow organizations to fund facility improvements through the energy and operating savings the upgrades produce over the term of the contract, typically 10 to 20 years. Honeywell guarantees the results, minimizing the risk and allowing customers to devote operating budgets to other critical areas. This type of funding mechanism helps remove the financial barriers many public entities, such as schools and municipalities, face when looking to upgrade buildings to reduce energy consumption and carbon emissions. Looking at the Commercial sector, buildings account for nearly 40 percent of all energy and 70 percent of electricity use. These are prime conservation targets. Honeywell offers energy services and partners with businesses to reduce energy levels. For example, our Energy Performance Contracts are a cornerstone of the Clinton Climate Initiative. We've implemented one that involves 22 facilities of the Transport for London company that will cut costs by 760 000 pounds annually and reduce CO2 by an amount equivalent to 570 cars. With Bulgaria's educational system coming under a lot of pressure in recent decades – especially higher education and the engineering majors – how do you assess the level of talent in Bulgaria? Do you think Bulgaria is producing enough highly-skilled specialists such as engineers – in terms of numbers – as well as in terms of quality – to fuel the investments of companies such as Honeywell Bulgaria? Our team in Bulgaria has been supporting our activities in Europe for quarter of the century. We have installed more than 60 Honeywell systems in Bulgarian manufacturing plants and completed more than 100 international engineering projects and the business is growing. Large numbers of engineers was involved in the installation of those projects; they received training by Honeywell and over the years, this created a pool of talent and experience here in Sofia. When we think about training and technology transfer we must think about the next generation of scientists and engineers. As a leading technology company, Honeywell is very active in this area. We devote considerable effort worldwide to promoting science and technology as a choice of career and then supporting those students that go onto to perform research. We would like to support the next generation of Bulgarian engineers and scientists as well. We already work with students during the course of their studies via a program called Jet Pro. We train them on jobs; they are guided by a mentor who looks after them during the year and familiarize them with the Honeywell technologies. They participate in the trainings in Honeywell Process Automation Colleges for example in the UK or Belgium. Earlier on we have spoken about Honeywell investments in its Bulgarian operations. Let me tell you that the best investment we can make is in the education of our youth. Education is the fundamental enabler of the knowledge economy and a key to long term competitiveness and growth. » Shale Gas in Bulgaria - Is a US-Led Breakthrough Imminent? » Black Sea Oil Rush - Why Not in Bulgaria?